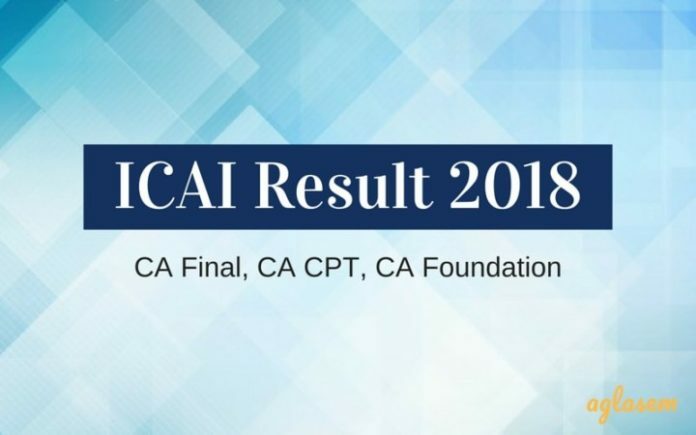 ICAI Result 2018 – ICAI is announcing CA IPCC Result for Nov 2018 exam on February 08, 2019. Earlier, the result for CA CPT, CA Foundation, and CA Final course has been announced. The ICAI 2018 result for November exam was released on January 23, 2019. 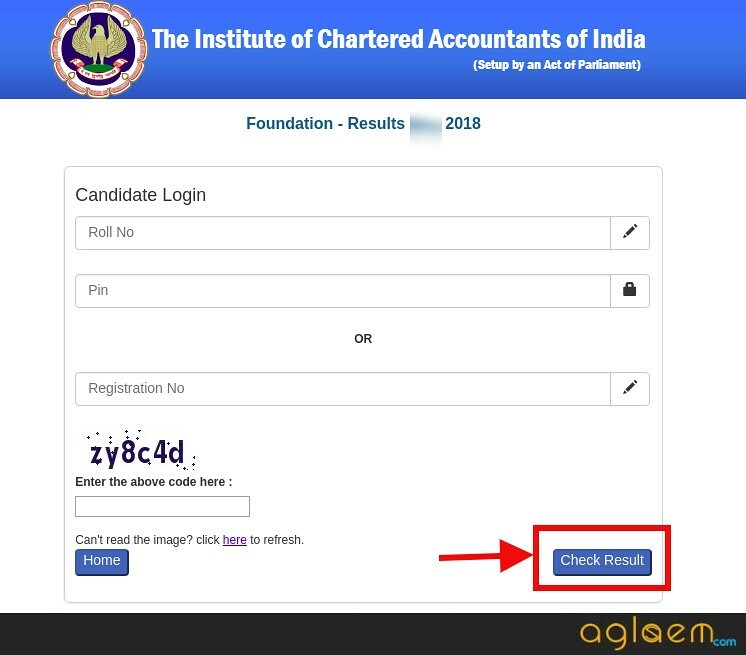 The ICAI result can be checked through login and to access it roll number and pin or registration number is required. With the ICAI result 2018, the merit is also released. Check here all the important updates and details on ICAI Result 2018. 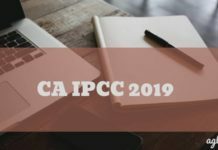 Latest: CA IPCC Nov 2018 Result has been announced. Click Here to check your result. Institute of Chartered Accountants of India (ICAI) announces the result on icaiexam.org, caresults.icai.org, icai.nic.in. Candidates looking for ICAI Old and New Scheme result can access the links below to know their score and merit. How to Check ICAI Result 2018 online? Go to the above mentioned official website and seek the link for CA CPT Result 2018 or CA Foundation Result 2018 or CA Final Result 2018. After accessing the link, the candidates will be directed to the login page. Then, to access the login, the candidates will have to enter Roll Number and Pin Number / Registration Number, and captcha code. Lastly, the candidates need to click on the ‘check result’ button and their score with rank shall be displayed. The CA Final 2018 Merit List will be published separately. It will also be available through a login and the candidates will be able to check it by submitting the roll number or registration number. Candidates who have forgotten their PIN number can check application form. It contains barcode and PIN. In case of forgotten registration number, you should call regional office and seek help. Be ready with your registration details. How to check ICAI Result 2018 through SMS? If you are a CA Final student who has appeared for Old Course exam then you can get result by SMS by sending CAFNLOLD (space) XXXXXX. If you are a CA Final student who has appeared for New Course exam then you can get result by SMS by sending CAFNLNEW (space) XXXXXX. If you are a CA Foundation student then you can get result by SMS by sending CAFND (Space) XXXXXX. If you are a CA Common Proficiency Test (CPT) student then you can get result by SMS by sending CACPT(Space) XXXXXX. How to check ICAI Result 2018 through email? ICAI has provided the facility to get the result via SMS and e-mail. To check the ICAI Result 2018 through E-mail, candidates can follow the steps listed below. First of all, visit the official website of ICAI,icaiexam.icai.org. After that, candidates have to register themselves by clicking on the Login/Register tab. Next, candidates have to enter their Login Id and Password. Now, candidates have to click on Email Registration tab and submit the e-mail id, name and roll no. Therefater, candidates will receive their ICAI CA Result 2018 at their respective E-mail ID. Date of declaration of ICAI Result 2018 is 20 July 2018. As per the notification, result ought to release around 6 PM. Check notice below. 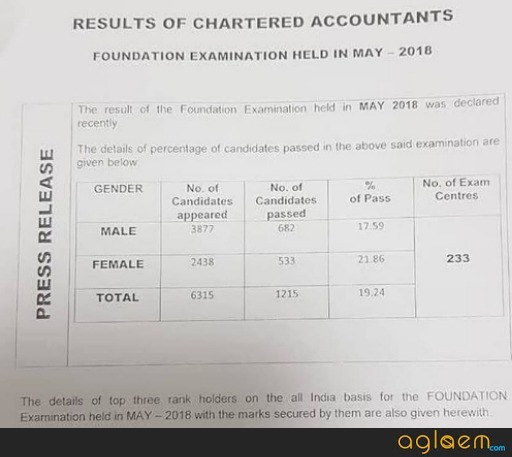 ICAI Result 2018 Pass Percentage will be announced with the result. Highlights of pass percentage of last year are given below. What After ICAI Result 2018? After the result of CA CPT or CA Foundation course is out, candidates will become eligible to enroll for Intermediate (IPC) course. It will consist of two groups, under the new and old scheme. Finishing Group I and II, will take almost 9 months of preparation. 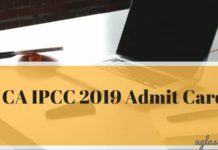 Once it is over, candidates will have to appear for IPCC examination. Candidates who qualify IPCC get enrolled in CA Final examination. The candidates who will qualify CA Final examination can seek jobs in Audit / Taxation, Banking, and Financial Services, Corporate Finance, Investment Banking. CA CPT (Common Proficiency Test) is the first step of the examination which students have to face in order to become a Chartered Accountant (CA). Students who are appearing or completed 10+2 are eligible to apply for CA CPT. It is held twice in a year .i.e. in the month of June and December. It is an objective type test which has negative marking as well. This is the next steps after the CPT examination known as the Intermediate (IPC) Course. There are seven subjects in IPC which has been divided into two groups. Candidates have the option to study for both the group together or individually but students who have appeared for CPT are qualified for practical training only after qualifying Group I or both the group of IPC examinations. CA Foundation is going to comprise of 4 papers. The CA Foundation Examination is conducted twice in a year which is in the month of May and November. Out of 4 papers in the CA Foundation, 2 are subjective (Paper 1 & 2) and other 2 are objective type(Paper 3 & 4). Candidates must note that there is no negative marking in the subjective paper. It is the last and final step to enter into the profession of Chartered Accountants. It is a national level examination. Only those candidates can appear for this level who have cleared the above-mentioned levels. CA Final is also conducted twice a year i.e. in the month of May and November. We did a Live update for June examination. If you want, you may check the updates from below. 1:25 PM: ICAI Result 2018 has been announced. 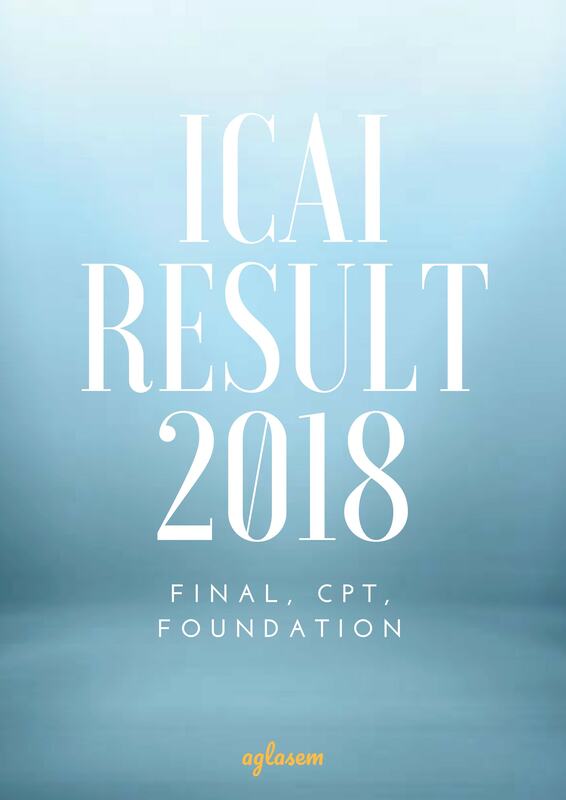 Click here for CA CPT Result June 2018. 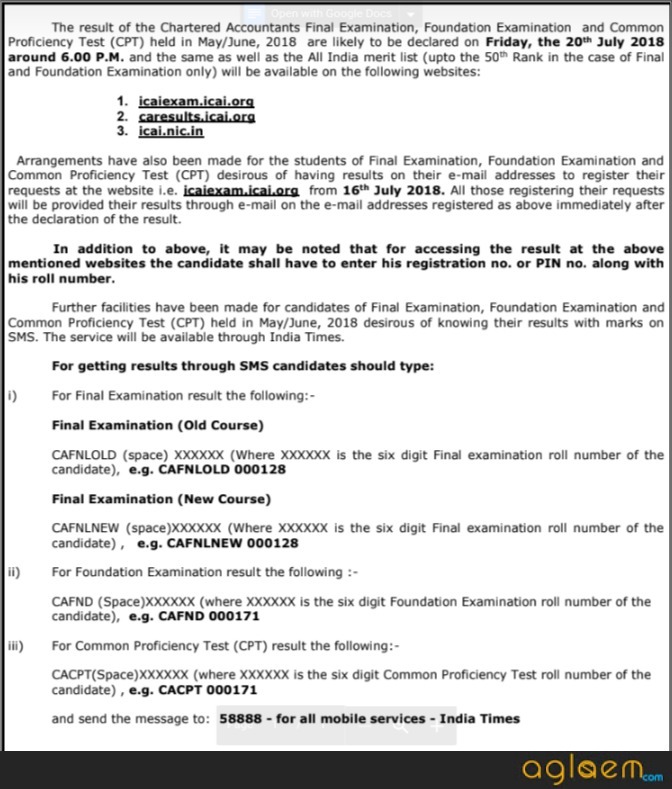 Click here for CA Foundation Result May 2018. 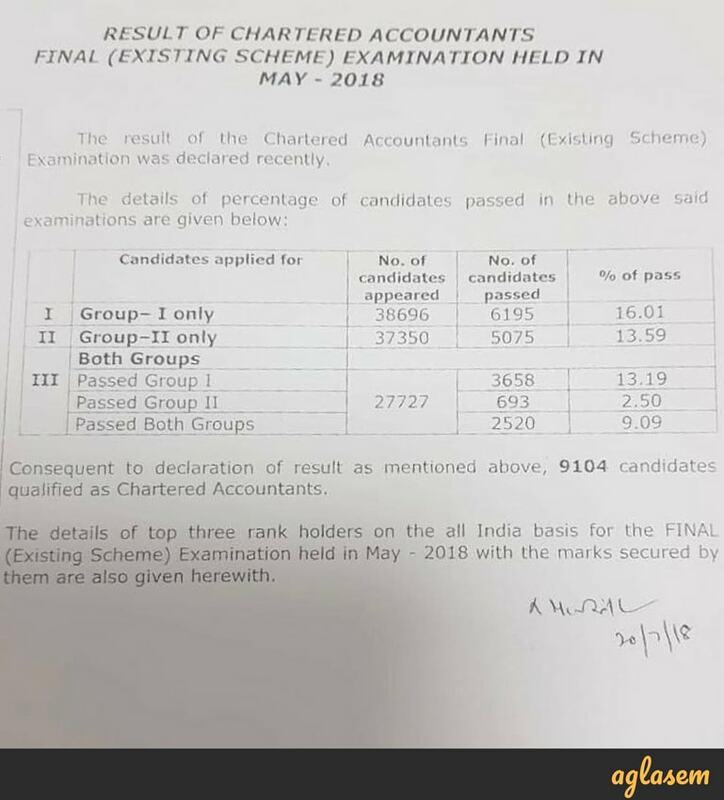 Click here for CA Final Result May 2018 (Old Course). 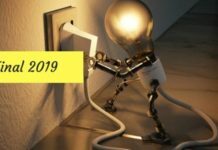 Click here for CA Final Result May 2018 (New Course). News: CA Final 2018 Topper Atul Kumar scores 618 / 800 (read complete story). 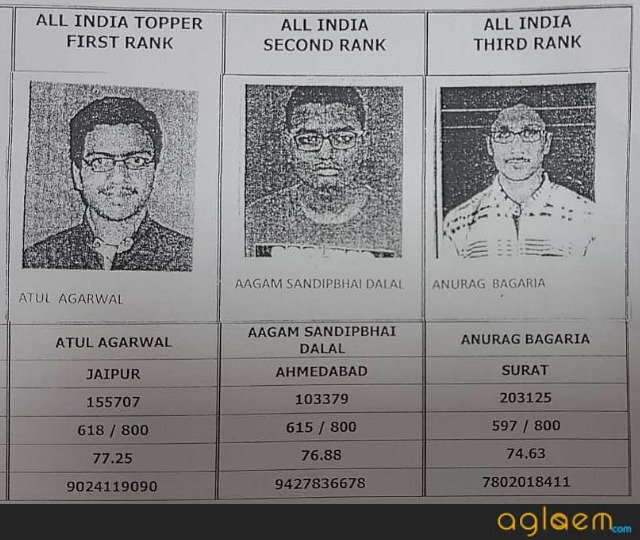 1:00 PM: ICAI Toppers 2018 for May exam are Atul Agarwal from Jaipur (with 618/800 marks), Aagam Sandipbhai Dalal from Ahmedabad (with 615/800 marks), Anurag Bagaria from Surat (with 597/800 marks). 12:57 PM: CA Final (New Course) Result 2018 Pass Percentage is Group I: 11.36%, Group II: 7.95%, Both Groups: 9.83%. 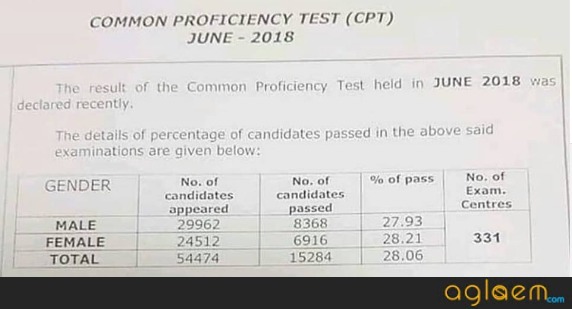 12:54 PM: CA CPT June Result 2018 pass percentage is Male: 27.93%, Female: 28.21%, Total: 28.06%. 12:53 PM: CA Foundation May Result 2018 pass percentage is Male: 17.59%, Female: 21.86%, Total: 19.24%. 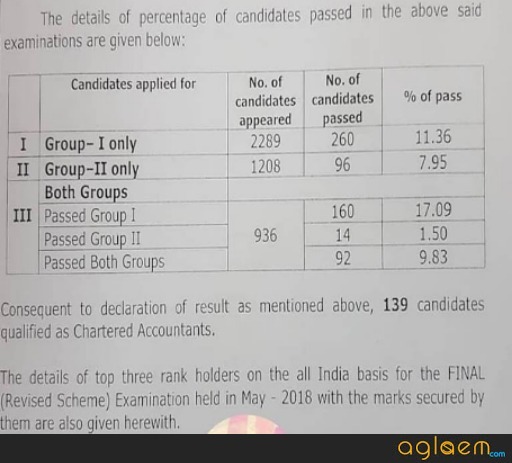 12:50 PM: CA Final May Result 2018 pass percentage is Group I: 16.01%, Group II: 13.59%, Both groups: 9.09%. 12 noon: ICAI is all set to announce result. We have started checking official websites, other sources for all latest updates of CA Final Result 2018, CA Foundation / CPT Result 2018.